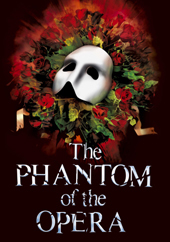 Breaking news: cast changes to The Phantom of The Opera have been announced with effect from 5th September. As the show heads towards its 30th Birthday at Her Majesty’s Theatre Ben Forster continues to star as ‘The Phantom’ alongside Celinde Schoenmaker as ‘Christine Daae’ and Nadim Naaman as ‘Raoul’. Joining the cast from Monday 5th September are Siôn Lloyd as ‘Monsieur Firmin’; Mark Oxtoby as ‘Monsieur Andre’; Paul Ettore Tabone as ‘Piangi’ and Daisy Hulbert as ‘Meg’. Also continuing their roles are: Megan Llewellyn as ‘Carlotta’ and Jacinta Mulcahy as ‘Madame Giry’. Harriet Jones returns as alternate ‘Christine Daaé’.